The best way to help your child become a reader and encourage learning is to read to him or her! Reading at home every day increases vocabulary and reading readiness. Early language activities, like reading, lead to positive attitudes toward learning and reading later in life. This free program is open to any child who has not yet started kindergarten! 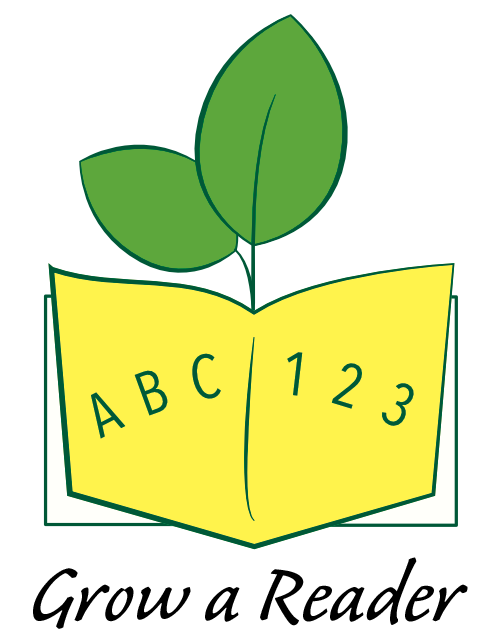 Register for Grow a Reader in-person at the Monroe Public Library children's desk, or online. You'll get a special library book bag and your first reading log. Record the books you read, and return each completed log to the children's desk to add a sticker to our reading tree. When you complete the program, your child will earn a book to keep and a special reading certificate! Read at your own pace, whatever works for you! 1 book/day for three years! 3 books/day for less than a year! 10 books/week for two years! Keeping track of your reading is a breeze with the 1000 Books app! Download for Android or iOS. Kids under age one can start in our Little Sprouts program to read 100 Books Before One! After finishing, they will graduate to our Grow a Reader program to read the remaining books before kindergarten! This program was funded in part with a grant from the Institute of Museum and Library Services (IMLS) which administers the Library Services and Technology Act (LSTA).